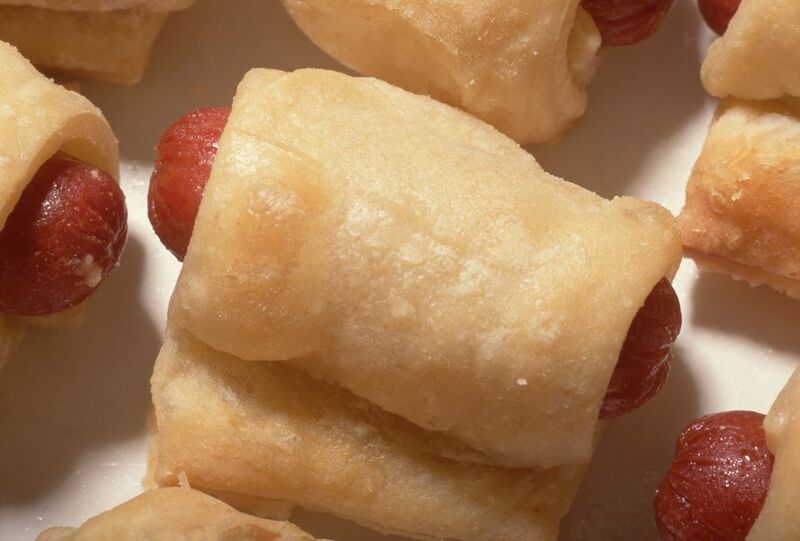 This pigs in a blanket recipe is ideal for busy weeknights when the kids have activities. It's a cinch to prepare, and the kids just love it. Unwrap crescent roll dough and separate into 8 pieces. Wrap one piece of dough around each hot dog. Place, seam side down, on an ungreased cookie sheet, leaving one inch between each hot dog. Bake 15-18 minutes until crescent rolls are golden brown and hot dogs are cooked through.